Regarding the proposed cannabis farm on York Mountain Road in Templeton, I have spoken with several representatives, including special agents, at the U.S. Fish and Wildlife Service Migratory Bird Program, the Condor Rescue, Ecological Services of the California Fish and Wildlife Department along with the head supervisors of both Ventura and Monterey counties migratory bird programs. The Migratory Bird Treaty Act and the U.S. 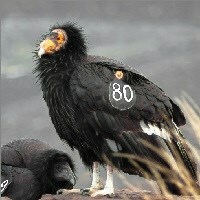 Endangered Species Act were enacted to protect wildlife such as the condors. Human-caused sources of bird and raptor mortality have never been higher due to the negative effects of cannabis farms. Millions of acres of bird habitats are lost or degraded every year due to development, agriculture and forestry practices. These rapidly accelerating impacts can be mitigated only through habitat restoration and protection. In addition, millions of birds are directly killed by human caused sources such as collisions with man-made structures and electrical lines. Yes, cannabis was recently voted to be legal. But with that comes great responsibility. We have not navigated these waters before. Do we allow anyone to “farm” where they like because the crop itself is not illegal? Guns are legal but I wouldn’t put a gun shop next to a high school or a mental hospital. The learning curve on what and where it is acceptable and appropriate to put a cannabis farm needs to be quickly addressed. You do not put a cannabis farm in a neighborhood. You do not put a cannabis farm in an area so close to where an animal on the endangered species list is being released. The crime and pollution associated with these farms cannot be denied. The statistics are emerging. Let these “growers” go somewhere that doesn’t affect the lives, safety and atmosphere of our properties, homes and wildlife, especially endangered wildlife. Yes, they have a “right” to grow. But the SLO County Board of Supervisors has a responsibility to say “where.” Many counties such as Mendocino have learned this at the cost of a ruined community. Please do the responsible thing for the neighbors in the York Mountain community and deny this project. It is just not the right fit. I simply can’t imagine any negative effect cannabis farms have that any other type of farm would not have. All farms alter the land. Most farms opt to use water and pesticides/herbicides. What could I be missing? I certainly never noticed anyone complaining when bajillions of acres were converted to growing grapes. Yes, people are always stealing grapes at gun point so they can make their own wine, cannabis and grapes exactly the same……. It’s pretty sad that our neighbors, people we stand in line with at the store, people we’ve put in office with our vote has turned a “we the people have voted to legalize marijuana” have turned it into something so ridiculous with greed that it seems like ONLY people with enormous amounts of cash can even become entrepreneurs. If There was a Tomato crop, or Jalapeños No one would bat an eye. But Hey, lets make it so expensive, we can only have people that apparently have enough cash to slip the powers that ALLOW CERTAIN PEOPLE access to permits. Some facts or statistics would strengthen your argument greatly. This is all N.I.M.B.Y. And no, I don’t think York mountain is the best fit for a cannabis farm. Interesting comments some of which are very valid. The surprising one to me was would you put a gun shop next to a high school or a mental hospital? That certainly is common sense and what would be called a no brainer. But then on the other hand would you put wine tasting, cider and beer tasting rooms next to a highway where thousands of cars pass every day, or hour, when there are statistics indicating that alcohol and drivers kill people? Just a comment. Like I have mentioned before I’m not a supporter of the legalization of marijuana but it was voted in by the majority and supported by politicians because they think it will be their cash cow. Because of the legalization it should be treated fairly. In the long run there will be a price to pay.